Question: What is the drug discount card? Answer: The drug discount card is a card designed to lower the cost of prescription medications by up to 80%. Question: Are there eligibility requirements to participate in the drug discount card program? Answer: No, there are no income, insurance, age or residency requirements. Question: Does the drug discount card program require enrollment and/or fees? Answer: No personal information or registration is required and the drug discount card is free of charge. Question: How does the drug discount card work? How soon can I use the card after printing it? Answer: The discount card can be used immediately. Simply present the card to the pharmacist, along with your prescription, at any of the participating pharmacies. Question: What if the pharmacist does not know how to process the drug discount card? Answer: If your pharmacist is not familiar with the drug discount card, they can call Argus Health Systems at 866-921-7284. The phone number is found on back of the card. Question: How does the drug discount card differ from an insurance prescription plan? 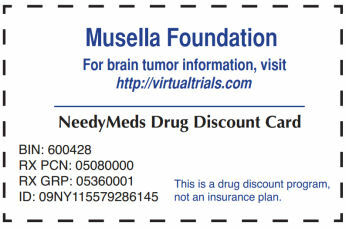 Answer: The drug discount card is not an insurance plan, but provides patients with discounted rates on prescriptions. When this card is presented with a valid prescription to a pharmacist, a 0-80% discount may be provided. Question: I have prescription insurance (public/private) that covers my medications, but my copay is too high. Can I still use the drug discount card? Answer: Unfortunately, the drug discount card cannot be used in combination with any insurance, so it cannot be used to lower a copayment. However, you may ask the pharmacist to process the discount card through the pharmacy system, as well as your insurance card, then choose whichever offers the best savings. The discount card often provides better discounts than many insurance plans. Question: If I participate in Medicaid, Medicare, Medicare Part D, or another state or federal program, can I still use the drug discount card? Question: Can I use the drug discount card if I am not a U.S. citizen? Answer: Yes, anyone can use the discount card as long as it is used at a participating pharmacy within the United States and its territories. Question: What prescription medications can be discounted using the drug discount card? How do I know how much my prescription medication will be? Answer: Try using the card to receive a discount for any medications you need assistance with. We do not keep a list of prescriptions and their prices using the discount card. The reason for this is that prices tend to differ from month to month and also from pharmacy to pharmacy. The best way to get an accurate amount of the discount is to take your prescription and the discount card to your local participating pharmacy, and have the pharmacist process the card though the pharmacyÃ¢â‚¬â„¢s system. Question: Can I use the drug discount card to receive a discount on over-the-counter medications and medical supplies? Answer: Yes, if the over-the-counter medications or medical supplies are written on a valid prescription, they will be eligible for a discount using the drug discount card. Question: Can I use the drug discount card to receive a discount on pet medications? Answer: Yes, the medication is eligible for a discount at a participating pharmacy as long as the veterinarian writes a prescription and the medication is purchased from a pharmacy. Question: Can I share the discount card with members of my family or friends? Answer: Yes, this card is universal, which means that anyone can use it, as long as they have a valid prescription. Question: Can I use the drug discount card on my mail-order prescriptions? Answer: No, the drug discount card cannot be used with mail-order pharmacies. However, over 61,000 pharmacies accept the drug discount card. Question: I have a question that's not listed here. How do I get an answer?